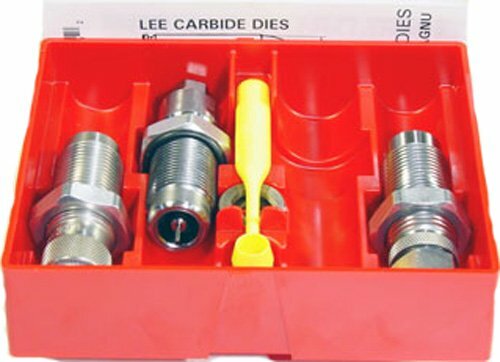 The Lee Precision Carbide 3 Die Set for 357 Remington Magnum includes a steel, full-length sizing die, a bullet seating die, and a powder through expanding die. This 3 die set is perfect for effective and efficient re-use of your .357 Magnum ammunition. The dies have been packaged in an air-tight, low profile box that will preserve the integrity of your dies and keep them organized and at the ready. Note: The 357 Mag die set can load maximum cases. The 357 Mag cannot load the 38 Special.